Mitchell’s Ice Cream opened for business on June 6, 1953. Larry and Jack Mitchell’s goal was to make the very best ice cream in San Francisco. The Mitchells started out with nineteen flavors; all made with 16% butterfat cream and superior ingredients. They continued to add flavors as their store became more popular and in the early 1960’s they were the first to introduce Mango ice cream to the Bay Area. Mango quickly became (and remains to this day) their number one seller. As the neighborhood changed and became more diverse, they increased the number of tropical flavors that they manufactured by importing a variety of exotic fruit from the Philippines. Mitchell’s is still owned and operated by the Mitchell family today. Two of Larry’s children, Brian and Linda, manage the day-to-day operations of the store. Their ice cream is still made fresh in the shop every day, using a 10-gallon Emery Thompson batch freezer. 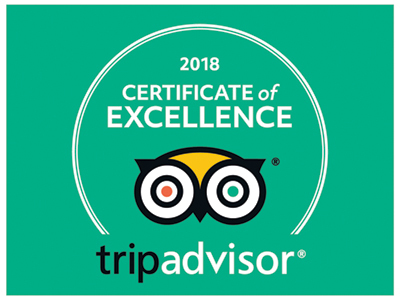 They feature 40 flavors daily and still use 16% butterfat in all of their ice cream, along with the finest ingredients from local sources, from across the country and from around the world. 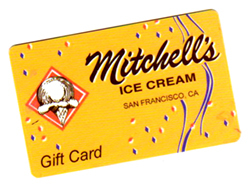 Their commitment to making the best super premium ice cream and providing the best service to their customers is why Mitchell’s has been a treasured San Francisco landmark for more than 60 years.